F Vent - Screw or Clip Fit Through Frame Slotvent - DGS Group Plc. 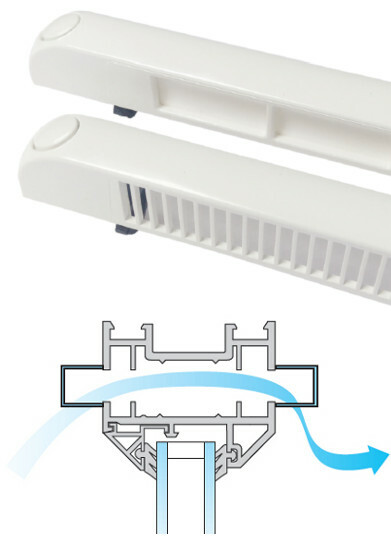 The F Vent is available with a clip-fit installation option which offers valuable installation savings in production and on site. 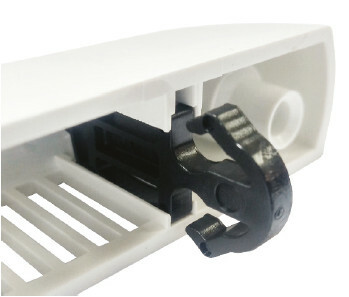 The clip has been designed to fit securely to a range of profile depths and is provided already installed in the ventilator body. Slimline, unobtrusive finish on profile when installed. Up to 2634mm² Equivalent Area. Clip fit and screw fix installation options.